The open source community is not keeping Sony happy and why should they after Sony locked out its PS3 by updating it. GEOHOT, who is well known for his iPhone hack has revealed the root keys for the PS3 on his website. George Hotz who goes by the alias “GeoHot” has revealed the root key of the PS3 which will enable anyone to use them with their own custom software and pirated games. When PS3 sees the keys, it considers these custom softwares and pirated games as valid and allows them to run. Last week a group of hackers claimed that they were able to hack into the PS3 and were soon to release tools that will allow anyone to load custom linux on their PS3. With the key now out, people can write any custom software and use it with it. It gets better, Sony cannot fix this with a firmware update. 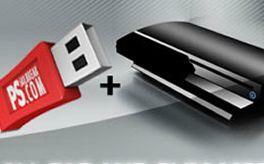 If Sony were to update the key, it will break all existing PS3 software. Sony has not said anything yet about the hacks. You can check out the root key here.